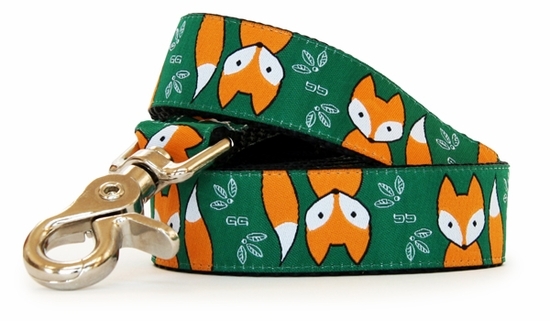 If you love Wes Anderson films and woodland creatures then Muir Woods Fox dog collar is for you. An adorable and whimsical fox on an emerald green background. Made in USA from durable nylon webbing with high quality nickel plated hardware. Machine wash and line dry. Our 1" & 5/8"leashes Feature a handy "D" ring sewn into the handle, to hold a Poo Bag dispenser or your extra house key.